Estes são da Shoe Fashionista apesar de os ter encomendado no amazon, os sapatos mais os portes ficou tudo à volta de 35 euros. Fiquei espantada com a rapidez porque chegaram em 4 dias. Apesar de ainda não ter andado com eles na rua, acho que são de boa qualidade. Esperem muitos outfits com estes meninos. These are from Shoe Fashionista although I ordered them on amazon, the shoes plus the shipping cost arround 35 euros. I was amazed at how quickly they arrived because it only took 4 days. Despite not having walked with them on the street, I think they are good quality. Expect many outfits with these boys. São super giros!eu tenho uns e adoro! My creepers come tomorrow!! I ordered them from TUK. Can't wait! Love the shoes, they're really cool! first off, thanks so much for stopping by and following! i love your blog and the title... very inspirational! great job!! Lovely :3 Hey, who is perfect if not you?! Like your blog!! Check out ours and if you like it we can follow each other. Let us know! Love your post !Love the shoes ! Can't wait to see some outfits with them! I love them, I've always wanted to own a pair..can't wait to see you style it! Hi sweetie! You have a lovely blog. Your header is so pretty! And I love this kind of shoes! :) Would you like to follow each other via GFC, Facebook, Twitter or other socials?? ps. we are now giving away 10 $5 giftcards of Dino Direct! Oh! how exciting! I'm looking forward to your upcoming post, and your upcoming outfits with these cuties! Wow, it's a nice shoes!!!!!!!!! Kisses, girl!!!! Happy day! obrigada eu :) adoro os creepers! I love that! I am not perfect but my shoes are. Reminds me of Kanye West' comment about his music!!! aooo que sorte e lindasss! 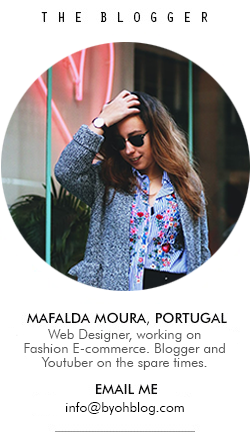 sabes se encomendar no site também chegam assim tao rapido? I love this post and your blog – I am now following! 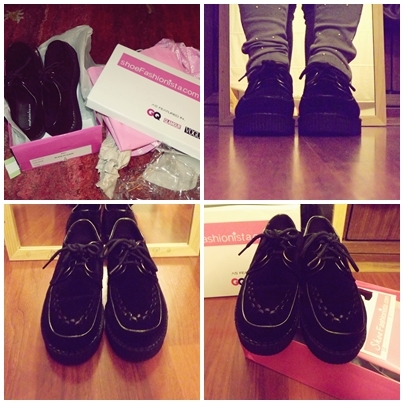 Gosto tanto de creepers!Ficam bem a qualquer um!